Background: Worldwidely cultivated, melon is commercially an important fruit crop, as it is in Iran. Objectives: Establishment of an efficient in vitro plant regeneration system plays a pivotal role in the plant transformation, hence, the importance of regeneration protocol for Iranian melon (Cucumis melo L. var. Gorgab) has encouraged us to work on in vitro melon regeneration. Material and Methods: The effect of selective media, including various concentrations of the 6-benzyladenine (BA), cefotaxime, as well as indole-3-acetic acid (IAA) on regeneration of the cotyledonary petioles derived from a 6-day-old in vitro grown seedlings were assessed. Results: The highest frequency of regeneration rate was recorded at 1.5 mg.L-1 of the BA plus 250 mg.L-1 cefotaxime in addition to 1 mg.L-1 BA plus 1000 mg.L-1 cefotaxime. The highest percentage of the shoot formation (100%) was recorded at 1 mg.L-1 BA plus 1000 mg.L-1 cefotaxime, while, it was relatively lower (75%) on than the medium containing 1.5 mg.L-1 BA in combination with 250 mg.L-1 cefotaxime. The highest root induction was observed in the medium containing 500 mg.L-1 cefotaxime + 0.1 mg.L-1 IAA. A significant positive influence on roots and leaves formation, as well as their number, in addition to regeneration of shoots was observed as well. Conclusions: This is the first work reporting an appropriate regeneration procedure for the melon, an Iranian native crop. Cucumis melo L. is among the melon species that encompasses numerous varieties of the cultivars. The plant commonly grows in the tropical, subtropical, as well as in the warm temperate (hot summer) regions of the globe. Central Asia, particularly Khorasan and Persia (Iran), is believed to be the land of origin and development wherein sweet melons have emerged (1). Despite endeavours for developing protocols for melon genetic transformation over the past recent years, genotype-dependency and the low manipulation efficiency (0-12.5%) as yet are the two major factors that interfere with the transformation (2). During 2012, the performance yield of the cantaloupe and other melons by Iran has been estimated around 17682.9 Kg.ha-1 with a total production quantity of 1,450,000 tons. Asia dominates the world’s cantaloupe production as well as other melon species. Among the leading countries, China produces the highest amount, (17,568,700 tonnes), followed by Turkey (1,708,415 tons) tonnes) and Iran (1,450,000 tonnes) (FAO, 2012) (3). Thus far, there were only few researches conducted regarding melon. To attain mass production and commercially reasonable, a long way is left to go, more examinations are needed to be done and technologies such as gene transfer, in addition to the breeding programs should be undertaken (4, 5). Although there were numerous attempts to develop virus-resistant transgenic varieties of the melon, still a successful in vitro protocol is required for regeneration of the transgenic plants. Through undertaking the present study it was attempted to develop an efficient procedure for improving both the reproducibility and the rate of recovery of the stably transformed plants derived from cotyledonary petiole of an Iranian melon species (Local name: Gorgabe’s Melon). To establish a reliable and efficient regeneration system, suitable for the proliferation of the transgenic plants, the effects of antibiotics and 6-benzyladenine (BA) on the organogenesis of this native crop was scrutinized. Mature seeds of Cucumis melo var. Gorgab were used as source of explant for the organogenesis induction. Seed coats were removed and the surface was disinfected in the 70% ethanol for 2 min, followed by 1.5% sodium hypochlorite solution, containing 2 drops of the Tween-20 per 100 mL solution for 20 min. Finally, seeds were rinsed four times in the sterile distilled water and cultured on ½ MS (Murashige and Skoog) medium (6). The proximal cotyledon section with its 2-3 mm-long hypocotyl stub of the 6-days-old in vitro grown seedlings were excised as explants, and the apical buds of the seedlings were removed under stereomicroscope (‘de-budding’). Subsequently, the explants derived from 5-7 mm of the cotyledonary petioles were incubated abaxial side down on MS medium supplemented with a range of concentrations of BA (0, 1, and 1.5 mg.L-1), and cefotaxime (0, 250, 500, 750, and 1000 mg.L-1). Regenerated shoots grown in the medium containing 250 mg.L-1 cefotaxime plus 1 mg.L-1 BA were then subcultured on MS medium supplemented with a range of concentrations of the cefotaxime (0, 250, and 500 mg.L-1) combined with 0.1 mg.L-1 Indole-3-acetic acid (IAA) for root induction. The medium was autoclaved at 121°C for 20 min and the pH of the medium was adjusted to 5.8 with 1 N KOH or HCl prior to autoclaving. Cultures were incubated in the growth chamber at 25±1°C in a normal 16 h light and 8 h dark photoperiod provided by 40-50 mmol.m-2.s-1 cool-white fluorescent lamps. Each combination of the concentrations were replicated 8 times in the petri dishes (100×15 mm), with 4 segments in each replication. Explants were sub-cultured onto the same medium every 3 weeks after data collection. Each treatment was replicated three times. A factorial experiment in a completely randomized design was applied to analyze the data. Analysis of variance (ANOVA) using SAS (version 9.1) was applied for testing data and the difference among the means was compared using LSD test at P < 0.05. Since it has been verified that antibiotics can induce negative effects on the plant tissues and regeneration, selection of the appropriate antibiotic and its concentration for Agrobacterium growth suppression plays a crucial role in a successful Agrobacterium-mediated plant transformation. Apart from this, plants sensitivity to the antibiotics is species-dependent by either inhibiting or promoting regeneration (7, 8 and 9). Therefore, in the present investigation the assay was focused on the effects of the BA and cefotaxime on the regeneration of the Cucumis melo var. Gorgab. Interestingly, the obtained results have indicated that application of the cefotaxime in the media has numerous significant positive effects on the bud initiation improvement, shoot regeneration, callus formation, root induction, along with leaf formation (Tables 1 and 2). As shown in the (Table 1), the high frequency of the regeneration rate was obtained in the media containing 1.5 mg.L-1 BA plus 250 mg.L-1 cefotaxime and 1 mg.L-1 BA plus 1000 mg.L-1 cefotaxime with an average of 9.2 and 9 regenerated shoots per explant respectively. Regarding the callus formation, the medium containing 1 mg.L-1 BA plus 250 mg.L-1 cefotaxime exhibited the highest callus production (Table 1). As could be seen in the (Table 2), application of cefotaxime did not put forth any phytotoxic effect on the regenerated shoots. In contrast, the percentage of the rooted explants, leaf development, and shoot elongation were improved. By looking at the results presented in the (Table 2), it could be clearly understood that, while, a higher concentration of the cefotaxime plus IAA (500 mg.L-1 and 0.1 mg.L-1 of each) was considerably more influential on the root induction, in contrast, cefotaxime at a concentration of 250 mg.L-1 plus 0.1 mg.L-1 IAA results in both secondary root and leaf formation to a significant higher levels. Cefotaxime belongs to cephalosporins, known as b-lactams; an antibiotic that prevents bacterial proliferation by inhibiting the cell wall synthesis during bacterial cell division (10). Cephalosporins bind to penicillin-binding proteins, enzymes responsible for synthesis or modifying bacterial cell wall. Binding of the antibiotic inhibits cell wall synthesis and causes bacterial death through enzyme-mediated lysis occuring following to the drug administration that causes death as a result of the defective cell wall formation (11). Although some bacteria contain beta-lactamases, which can inhibit the activity of the antibiotic through hydrolysis of the cyclic amide bonds of the b-lactam ring, cefotaxime is highly resistant to beta-lactamases produced by the Agrobacterium (12). Several studies have demonstrated either a positive or a negative effect of the antibiotics, such as, cefotaxime on the direct as well as indirect regeneration in a dose-dependent manner varying according to the plant species, type of explant, and culture system. With regards to the explant position, researchers have stated that young and undifferentiated cells in the proximal zone of hypocotyl may contribute to the rapidity of the regeneration rather than cotyledon section (13). This might be related to the differences in endogenous phytohormone levels in the plant tissues (14) or the meristemic activity of the plant tissue as well, which might be affected by plant growth regulators such as cytokinin (15). Moreover, shoot buds usually arise from the meristematic cells called meristemoids. The superiority of the cotyledonary petiole explants over other types of explant in Cucumis melo cv. Khatooni from Cucurbitaceae (16), and even Kelussia odoratissima from the Apiaceae family (17) have also been reported. Consistently, our preliminary investigation has shown that cotyledonary petiole fragments cultured on the media containing BA, and cefotaxime can exert a strong positive influence on the in vitro regeneration system. Likewise, our results have demonstrated that 1 mg.L-1 BA in addition to 1000 mg.L-1 cefotaxime and/or 1.5 mg.L-1 BA plus 250 mg.L-1 cefotaxime would be the best treatments for regeneration of this species, which could be helpful for suppressing Agrobacterium growth as well (Table 1). The different concentration of BA that were reported in studies on melon could possibly be due to the variations in the endogenous hormone levels among the different cultivars. Additionally, different plant genotype and varieties exhibit quite different regeneration rates (18). Explant age and gelling agents may also affect the melon regeneration efficiency (19). Our results also showed that medium containing 1 mg.L-1 BA plus 250 mg.L-1 cefotaxime was efficient for callus production, producing white and friable callus. As well, our results further indicated that regenerability of the C. melo cotyledonary petiole explants were affected by the exogenous application of BA and cefotaxime. The results obtained in this work verify that cefatoxime has a positive influence in regeneration processes of C. melo var. Gorgab. The positive impact of the antibiotics may be accounted for their hormone-like effects on the plant tissues, which, can also be affected by the plant growth regulators in the medium in addition to influence on the regeneration and callus growth efficiency (20). As shown in (Table 2), our results have verified that IAA and cefotaxime have markedly improved root, shoot, and leaf formation, as well as plantlet elongation. Based on our preliminary investigation even ½ MS medium without auxin has the potential of the root induction (data not shown). This could be due to the fact that different melon cultivars might respond to the different concentration of the plant growth regulators (18). Plantlets with a well-developed root system were successfully acclimatized (100% survival rate) by transplanting them into plastic containers containing peat moss and perlite (1:1) in the greenhouse under normal condition at ambient temperature of 23±2°C, and 70% relative humidity. 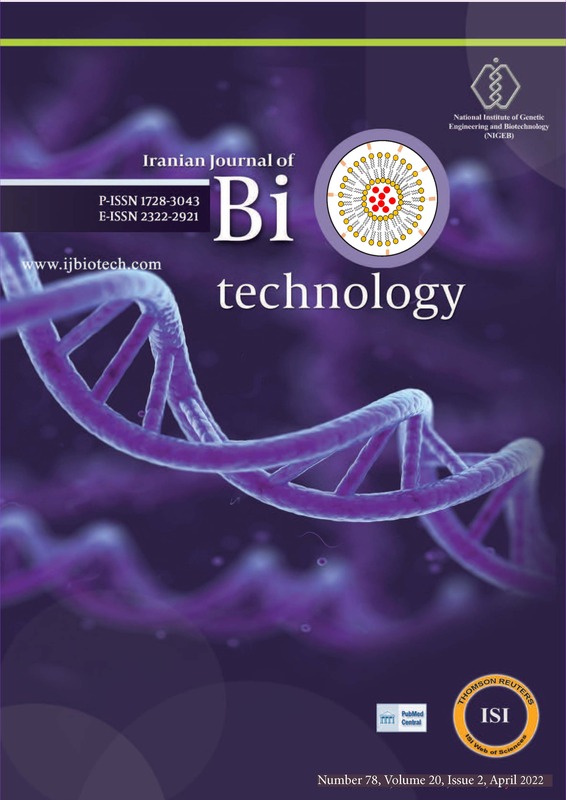 In conclusion, through evaluating the efficiency of BA and cefotaxime on regeneration system, we have established a reliable procedure for proliferation of the transgenic and non-transgenic Iranian melon, which is suitable for boosting the manipulation of the melon transformation for commercial purposes. Medium containing 1 mg.L-1 BA and 1000 mg.L-1 cefotaxime and/or 1.5 mg.L-1 BA plus 250 mg.L-1 cefotaxime showed a significant positive effect on regeneration system, which may also be applicable for Agrobacterium elimination. As well, the significant positive effect of the cefotaxime on shoot induction, the striking positive synergistic effects of the cefotaxime along with IAA and BA on bud and root induction, shoot elongation, leaf development, and callus growth were also evident. Therefore, our data seem to suggest the optimal level of BA and cefotaxime, pertinent for regeneration and transformation of the Cucumis melo (L) var. Gorgab. This research was supported by a research grant (project no. 51755901209015) from the Research Council of the Isfahan (Khorasgan) Branch, Islamic Azad University, Iran. 3. FAO. FAO Statistical Year book: World Food and Agriculture. Food and Agricultural Organization of the United Nations, Rome. 2012. 7. Silva JD, Fukai S. The impact of carbenicillin, cefotaxime and vancomycin on chrysanthemum and tobacco TCL morphogenesis and Agrobacterium growth. J Appl Hort. 2001;3(1):3-12. 10. Pollock K, Barfield DG, Schields R. The toxicity of antibiotics to plant cell cultures. Plant Cell Rep. 1983;2:36-39. DOI: http://dx.doi.org/10.1007/BF00269232. 15. Koné M, Koné T, Kouakou HT, Konaté S, Ochatt JS. Plant regeneration via direct shoot organogenesis from cotyledon explants of Bambara groundnut, Vigna subterranea (L.) Verdc. Biotechnol Agron Soc Environ. 2013;17(4):584-592. 17. Askari-Khorasgani O, Mortazaeinezhad F, Otroshy M, Golparvar AR, Moeini A. Direct regeneration of an endangered medicinal plant Kelussia odoratisima. Intl J Agri Crop Sci. 2013;5(17):1969-1974.